Jay Phelps has been travelling and finding himself, as he told this site in a 2016 INTERVIEW. Most people would come back after two years in Thailand and Brazil with some unusual clothes and a regrettable tattoo – Phelps has returned with his second album as band leader. After breaking a rib while dramatically saving his mum’s dog from a swan attack, Phelps was unable to play the trumpet. He took the setback as an opportunity to spend some time in front of the piano composing Free as the Birds, the album he previewed at Dean Street last night with the Jay Phelps Quartet. While the album is almost entirely contemporary music penned by Phelps, JPQ open with Miles Davis’ 1965 jam Agitation - a high energy, high volume start. This acts as a benchmark for compositions like Yesterdays, a long double bass and trumpet intro leading in to a neatly crafted melody head, acting as an improvisation vehicle – more Wynton Marsalis than anything else. Title track Free as the Birds hints at his time passed in Brazil with a fast Bossa, while the rolling floor tom percussion of Everyone is Ethnic ironically brings to mind less Euro-American musical references. The most notable change from the Phelps of old is the occasional verse of vocals interspersed with the trumpet. It’s a brave move for a front man known for his trumpet tone to switch the focus to his voice and lyrics, and at a very much home crowd venue, with Phelps’ mother being chided for playfully heckling during the set from the side of the room, vocal tracks like Angel build a bond with the crowd. The effect of the heavily controlled vocal melodies is to provide a real contrast to the smooth trumpet lines that follow. In a similar fashion, the more familiar song structures of the Phelps original pieces provide a contrast to his one arrangement, of the Outkast song Spread. 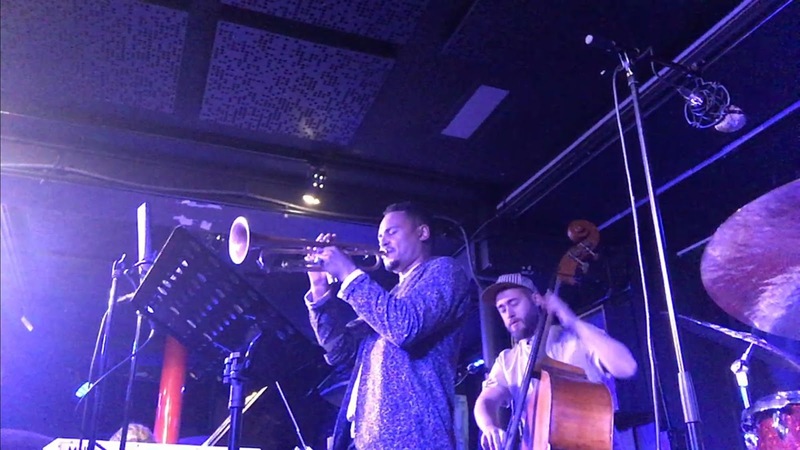 A multi-part piece with jaunty lines, and instruments brought in and out of unison over challenging transforming drum lines, by taking on the challenge of ‘jazzifying’ a different genre Phelps has been pushed to be more daring, and with great success. Spread brings out blistering double bass solo and bravado drum piece, while constantly switching tone. As well as opening with a Davis piece, JPQ close the set with one too, perhaps revealing an underlying fascination with the late great. The varied styles of Phelps' work hark to some of the later Davis periods - the modern hip hop drums of the Erik Truffaz-esque L.S.G. or the bright clean groove of his Thailand Chill - while the way he describes his work – “Not jazz, but music for the people” - references some of Davis’ own gripes. The demands of the songs like Spread bring out the best in the remarkably strong backing trio that Phelps has assembled under his name for the gig: Mark Lewandowski provides a compelling masterclass in double bass improvisation, demonstrating a bond and understanding with the trumpet that underpins the whole set; while one could hardly look for finer London regulars to call on than Jon Scott on the drums and keys maestro Ivo Neame, spinning between grand piano, organ and synth, playing all the songs like he wrote them himself after only a single rehearsal as a quartet. 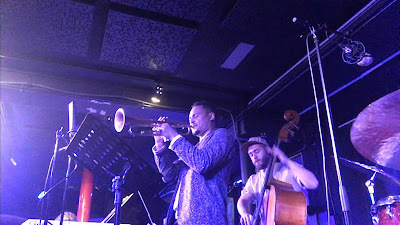 In a venue like Dean Street – classic cabaret tables in front of blue lighting and low slung beams in the heart of Soho – one expects a traditional jazz show. Free as the Birds, out on release later this month, provided that – and much more.